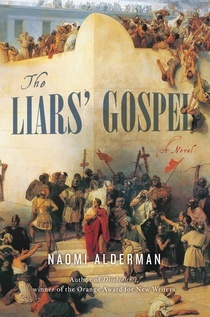 Naomi Alderman's new novel, The Liars' Gospel is definitely not a book for everyone. The book is set in the first century and centered around the life of a Jewish prophet, Yehoshuah (Jesus to us). Although it is ostensibly a retelling of the story of Jesus, I found Alderman's detailing of the political climate in Jerusalem during the rise and fall of Jesus much more interesting. The story is told from four viewpoints. That of Marym,Yehoshuah's mother, His friend and follower Ieudah of Queriot, the Roman High Priest of Jerusalem, Caiaphas, and the rebel Bar-Avo. As you read, it is easy to see that Marym is Mary, Ieudah is Judas Iscariot, and Bar-Avo is Barrabas. I thought that Alderman's decision to tell this tale from 4 vary different viewpoints was a brilliant idea. Each character had a different relationship with Jesus and none of them alone could have told the tale completely by themselves. 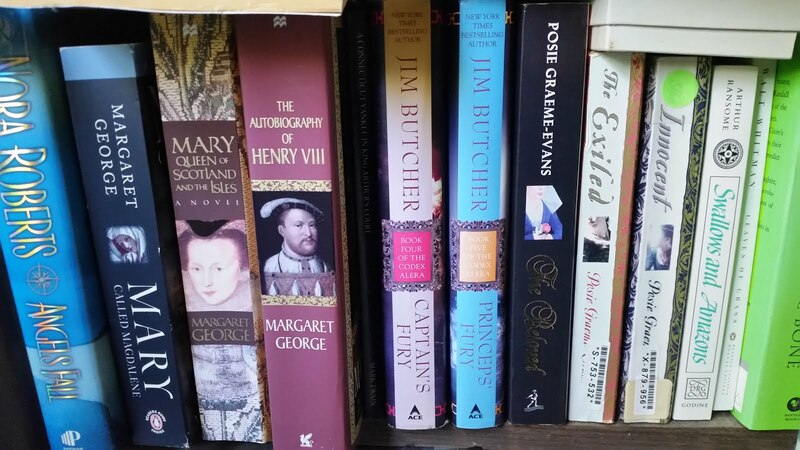 The switching of voice throughout the book allows the author to cover, not only the different times periods of Jesus' life, but also the different facets of his life. Of the four tellings (or gospels, per the title) I feel the best one was the telling by Judas. It is here that we first get to see what political forces are at work in Israel between the occupying Romans and the Jews. This political background was the most interesting part of the book to my thinking. Since I am not very well versed in the history of Israel, the Jewish faith, or the Roman empire during the time of Tiberius, I found this part of the book illuminating. The idea that the political forces at work during this time period could play such a major role in allowing Jesus to gather a following, and therefore, to become both who he was and who he wasn't, was what I liked best about the book. One reason that I see this book as more than just the retelling of Jesus story, is that the second two "gospels" those of Caiaphas and Barrabas do not seem to have much to do with Jesus at all. Although Caiaphas was the High Priest of Jerusalem during this time, he never really came in contact with Jesus in a large way. His focus was more in the arena of the political strife between the occupiers and the native populations, and his efforts to reconcile the two. In the case of Barrabas, he went on to continue to lead the rebellion of the Jews against the Romans long after Jesus was dead. In fact, his story began with the death of Jesus and continued on with the focus on the political. For me this was the second best section of the book. All in all, I found Alderman to present a thought provoking work that captivated me. Both her excellent prose and her development of the characters in the books were definite pluses. Not only was she adept at fleshing out the four characters telling the stories, but her attention to the supporting cast of characters was also well done. In addition, her ability to tell the story of Jesus from and alternate perspective and make it both believable, and more importantly, not disrespectful or preachy, was appreciated. As much as I enjoyed the book, at no time did the writing make me question my faith, or give me the idea that Ms. Alderman was trying to change my beliefs. Only that she was looking at the same story with different eyes. As I said, this book is not for everyone, but if you are looking for something that is a little different, looks at something from a totally different direction, and has the ability to bring to light questions and new information, than this is the book for you. I am giving it 4 stars, and in fact, enjoyed it much more than I thought I might.